Mom of the Month: Meet Dana Simpson! 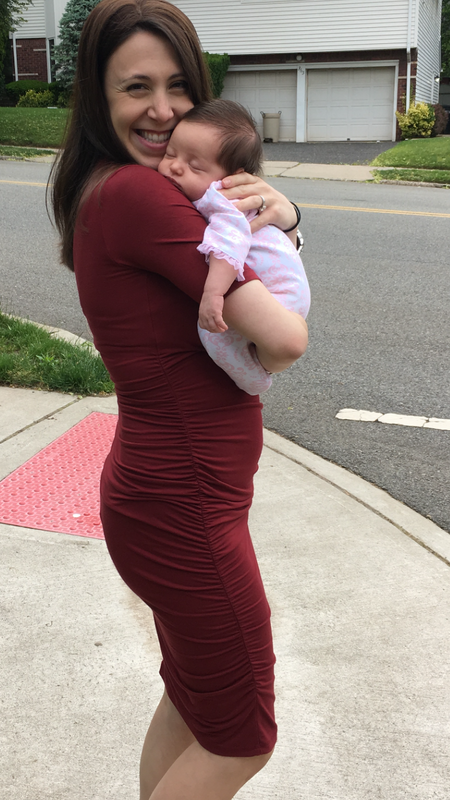 Dana was one of our most loyal prenatal students, coming to class at least once a week for months as she prepared for the birth of her first child. Ten days past her due date, Maya Liora finally made her entrance into the world on May 8. 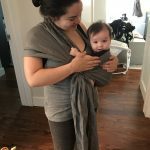 Now nearly two months in to her motherhood journey, Dana shares some insight. What has been the most unexpected thing that new motherhood has brought you (or that baby has brought you)? The most unexpected thing about being a new mom is how quickly you learn to embrace help, because you absolutely, positively, need it. I don’t care how type-A you are (which I am), how prepared (you think) you are (which I was), or how incredible your partner is. YOU. NEED. HELP. Accept it. Embrace it. Love it. Appreciate it. Ask for it. Depend on it! Each day you learn wondrous new things, and the best part is you learn along with your new, wonderful little person. 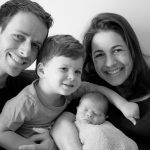 What is one of the most important things you feel you can impart to a new mom? The most important thing I can impart to another new mom is to just be kind and patient with yourself. There is nothing to feel guilty about; each day presents new challenges, new surprises, new wonders, and new opportunities. Understand that you can only control so many things, so focus your energy on the things that matter most: Make sure your baby is eating, sleeping, and of course, pooping. If you have all of that down, you are already a wonderful mom! What was the most helpful thing a relative or friend did for you in the first six weeks? The most helpful thing people can do is bring you food! Ask a friend to set up a Meal Train for you at mealtrain.com. It’s the best gift and extremely helpful. You can leave very specific requests, such as “Text my husband when you want to drop off food” or “Please deliver food by 5 pm since we do not like to eat late.” You can also include allergies, food preferences, etc. And don’t be afraid to set boundaries! Visitors are great, but you need time to rest, recover, and not overdo it. Just bond with your wonderful baby, and love this most special time of your life. What is your favorite way to bond with your baby? There are so many ways I love to bond with Maya but my favorite is giving her an infant massage. There are several places on the body your baby may absolutely love, such as the side of the legs, the feet, and even the stomach. Just search YouTube or attend an infant massage class (at PYC!) to learn more. More than anything, remember your own health! Healthy mommy, healthy baby. If you are struggling with anything, from fatigue to breastfeeding to fussy baby, know that there are always resources and people who want to support you. Best of luck on this magical journey! 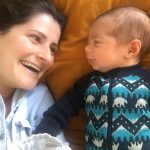 Mom of the Month: Meet Jenny Wood!